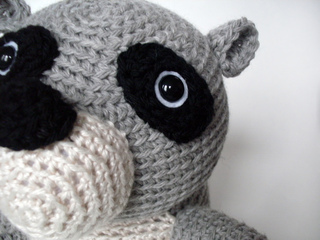 With this cutie raccoon, you’ll learn a few more complicated amigurumi techniques, like working color changes! It’s part of Stacey’s Amigurumi Woodland Animals class, so she’ll take you step-by-step through everything you need to complete this adorable stuffed animal! All you need to know how to do is chain, single crochet, increase and decrease… and you’ll learn the color changing!